This Thirsty Thursday we travel to Bordeaux….via Australia? Like Bordeaux’s Gironde River, Margaret draws moisture from the Indian Ocean, turning this nub into a cooler, wetter climate than the hot, arid sands of the East. Cape Mentelle saw potential and planted Bordeaux’s famed Cab Sauv, Merlot, Semillon, and Sauvignon Blanc: grapes that honestly can’t handle hotter climates. This Thirsty Thursday we wake our palates up with a 2014 (thank you Southern Hemisphere) blend of 55% Sauvignon Blanc and 45% Semillon. Appearance: A clear, painfully pale lemon fills my glass, glinting wintery and white. Aromas: Lime peel, verbena, white tea and sea salt emerge with moderate intensity. Palate: Dry, tightly strung acidity lightens the already light 12.5% alcohol into an even more feathery body. Flavors: Semillon’s plump melon and pear (Orange zest? ), morph into Sauvignon Blanc’s fresh squeezed lemon juice and salinity. Mouths water for hours as does the length. 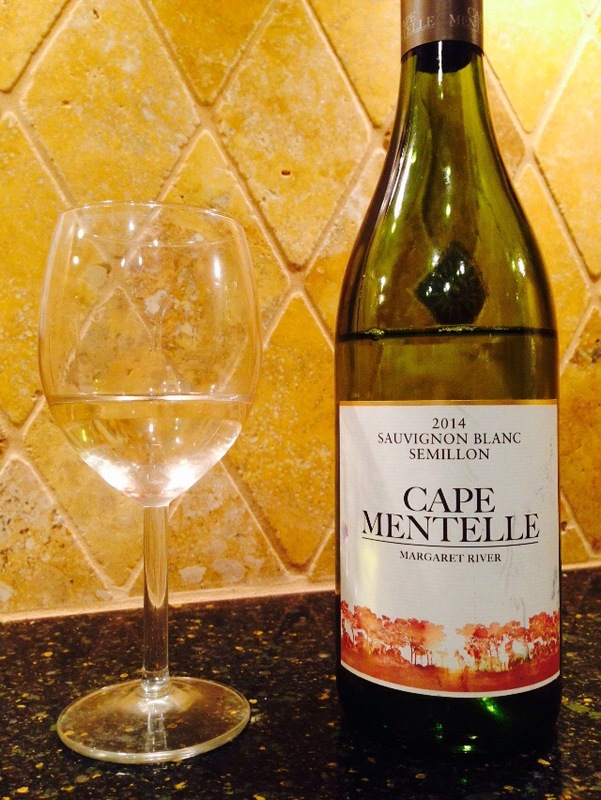 Conclusions: Cape Mentelle’s 2014 Blanc is austere, vibrant, yet seductive: a fantastic nod to its Bordelaise heritage. For under $20 I dare you to find a bright, cooler winter white. This entry was posted in Sauvignon Blanc, White, White wine and tagged Australia, cape mentelle, margaret river, Sauvignon blanc, Semillon, White wine, winter white. Bookmark the permalink. “Winter white” would make a great gift with paper white bulbs – “verbena”.